I can feel the seasons changing from summer to autumn. No, it’s not in the temperature drop as the thermometer is maintaining 90 plus degrees each and every day. Autumn is slowly arriving because all things pumpkin have been surfacing in the stores, on the internet, and in coffee shops. Pumpkin Spice. Yes, please. 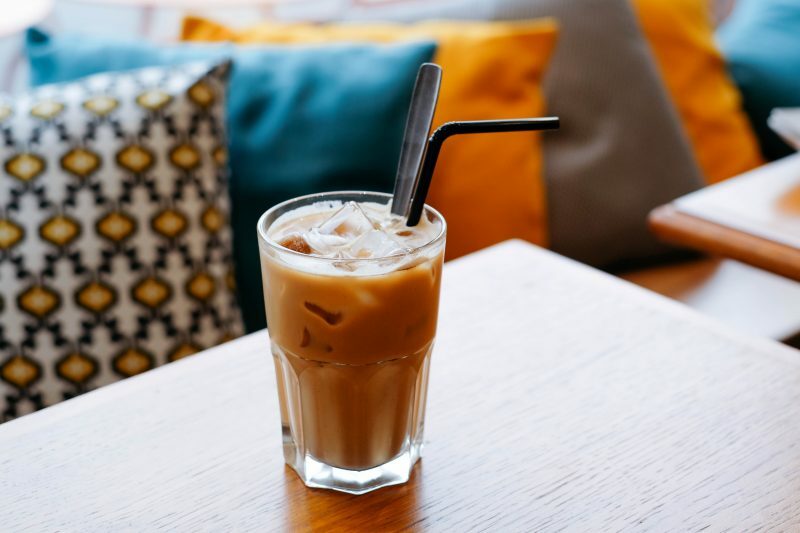 Had my first pumpkin spice iced coffee today. Iced because it’s 95 degrees. Cannot wait to have it HOT. Yes, please. The weather still isn’t cool enough to warrant having my oven on for long periods of time (if at all) but I still use it for short cooking times. Like when roasting vegetables; they are super quick to roast and taste so much better, in my opinion. 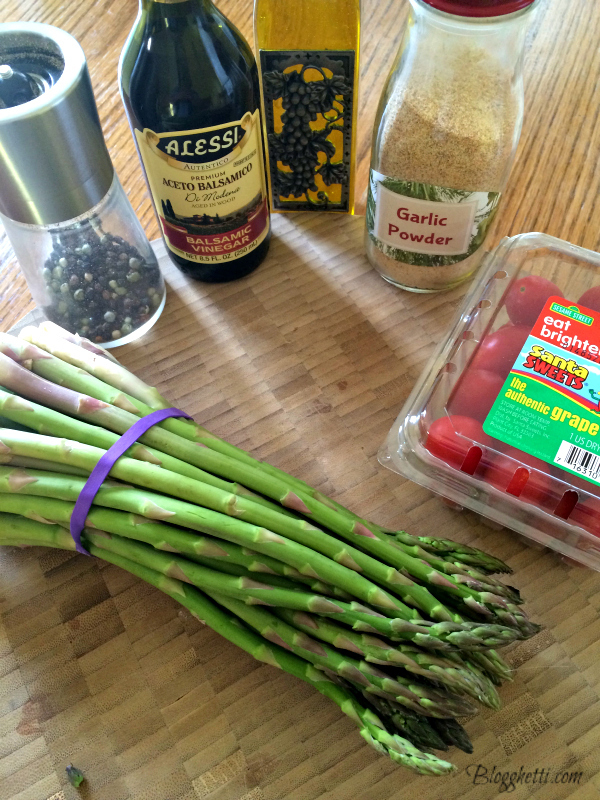 I recently have found that I really like the flavor of balsamic vinegar and when you drizzle it on fresh vegetables, such as asparagus and tomatoes, it brings the flavors of the vegetables to a whole new level of goodness. 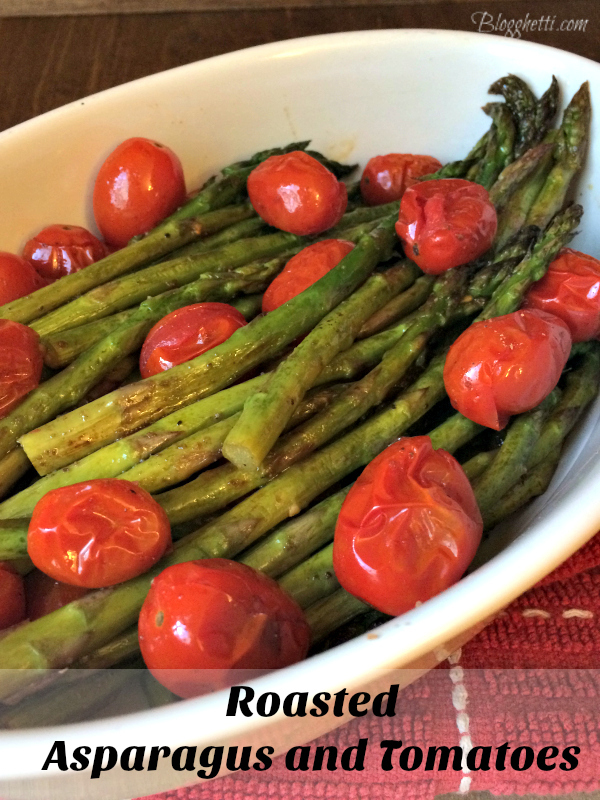 This healthy and quick roasted asparagus and tomatoes side dish is full of flavor from the balsamic vinegar and garlic. Can easily be made in 20 minutes (5 min to prep and 15 to roast). 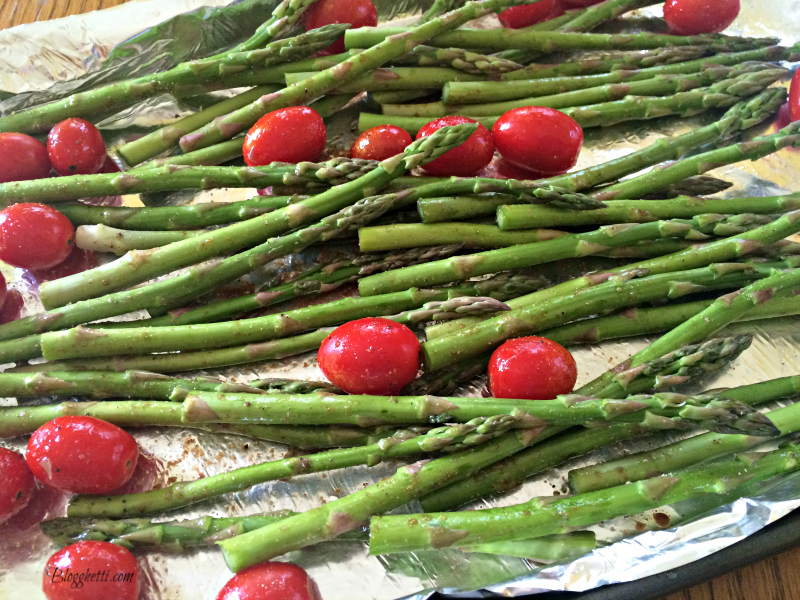 This healthy and quick roasted asparagus and tomatoes side dish is full of flavor from the balsamic vinegar and garlic. Can easily be made in 20 minutes (5 min to prep and 15 to roast). Preheat oven to 425 degrees. For easy clean-up, line a baking sheet with aluminum foil. Toss all ingredients on the prepared baking sheet. Spread out in a single layer on baking sheet. Bake for 15 minutes, turning over the vegetables once during cooking time. This is a delicious dish! The balsamic is a perfect addition.